Starline Reloading Brass Starline Reloading Brass Cartridge cases. prides itself on producing some of the highest quality brass case available. With a production process focused on quality not quantity. Starline makes the finest brass and has for more than 30 years. 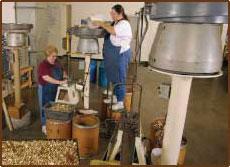 It is their unique manufacturing process and the commitment of there team of employees that distinguish them from the competition. Let Starline prove that their highly skilled staff, State of the art facility, and their proven manufacturing process backed with more than 30 years of experience produces the finest brass made. 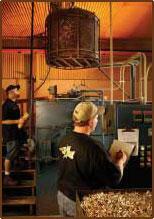 Starline quality process begins with premium brass comprised of 70 percent copper and 30 percent zinc. Unlike some competitors, Starline's brass is vertically drawn, which holds wall thickness variation to a minimum. They also anneal Their cases between each draw to ensure consistent metallurgy in all lots. The next important component is Their precise tooling. For example, the bunter tools used to impact the primer pocket during heading are engineered and built in-house. This allows complete control of the primer pocket diameter and consistently provides a good radius at opening for ease in priming. Another Starline innovation is in the tooling built to pierce the flash hole. The tooling is designed to punch a perfect burr-free hole every time, eliminating the need to clean flash holes. Another unique step in Starline's manufacturing process is Their close quality control and hand inspection between each step. Their quality control personnel inspect each case for cosmetic defects and sample cases dimensionally with micrometers and precision gauges to ensure the tightest tolerances possible. Every case is run through our final inspection machines to guarantee 100% flash hole presence, correct length and diameter. Their tight quality control system means every caliber is inspected a minimum of ten times during the manufacturing process! Sure, multiple inspections and holding tight tolerances increase production costs, but Starline will never waiver in Their commitment to quality. 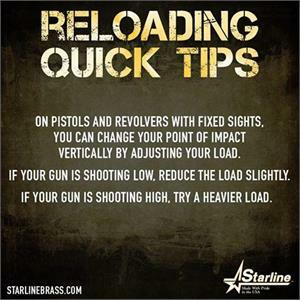 Brass World would like to take this opportunity to express our appreciation for your support of Us,Starline products.Reloading and the Shooting sports. We do not list out of stock Items, Brass Will show when back in stock.